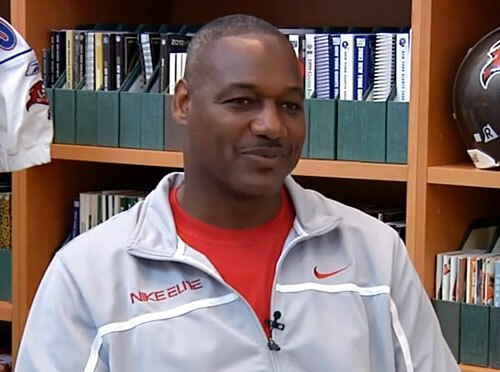 Derrick Brooks is a retired NFL linebacker who played for the Tampa Bay Buccaneers for his entire professional career from 1995–2008. In 2011 After his playing career Brooks became co-owner and president of the Tampa Bay Storm. Brooks is a Super Bowl champion for Super Bowl XXXVII plus he is an eleven-time Pro Bowl selection for 1997–2006 plus 2008. Brooks also is a nine-time All-Pro for 1997–2005. Derrick Brooks was inducted into the Pro Football Hall of Fame in 2014 plus he was inducted into the College Football Hall of Fame in 2016. Sports Speakers 360 is a booking agent for pro athletes. If you would like to book Derrick Brooks for a speaking engagement, appearance or endorsement, contact a Derrick Brooks booking agent for fees at 1.855.303.5450.